Remembering 9-11, How far have we come, what still needs to be done? On the twelfth anniversary of the terrorist attacks on United States soil, we reflect back on those who were lost on that fateful day. We remember the heroes and where we were. How far have we come in the journey of grief and how far must we continue to go in striving to protect the innocent from another senseless act of violence by Islamic extremists? Have we done all that is necessary to improve our chances of detecting another plot? Are all tools in place to assist both Counter Terrorism and Law Enforcement Agencies in their job? Sadly the answer is no. While we have had many success stories of thwarted plots both by foreign and homegrown terrorists, there is still a ways to go. One of the areas that desperately needs improvement is in information sharing between Federal, State, and Local agencies. A stark reminder of this was the Boston Marathon attack. What was previously known, by whom, and what was withheld, are questions still demanding to be answered in a satisfactory manner. Did we not know that this, information sharing, was vitally important? Yes we did. Sadly we don't often follow our own initiatives. The 9-11 Commission in it's final report stated the following: "The United States has the resources and the people. The government should combine them more effectively, achieving unity of effort. We offer five major recommendations to do that." One of the five was; Unifying the many participants in the counterterrorism effort and their knowledge in a network- based information-sharing system that transcends traditional governmental boundaries." This objective has not yet been fully achieved. Progress has been made in the development of the National Data Exchange Program (N-Dex), but full participation by all the Agencies has not been accomplished. One of the problems causing this is a basic lack of trust between Federal, State, and Local Criminal Justice / Intelligence agencies. It is based on historic cultural differences that run deep within both the law enforcement and intelligence communities. Often it comes down to a game of "Texas Hold-em" where each player waits for the other to show his cards before he will disclose his own. Old town rivalries are admired in sports. In combating terrorism and crime, they are unhealthy and detrimental. We do indeed have the resources and the people to accomplish the goal of a unified information sharing system, but only if we, the professionals, lay aside the old mistrusts and hesitancy to share what we know, when we know it. The memory of those who lost there lives on that day demands no less. As U.S. and coalition forces begin to draw down in Afghanistan many are being led to believe that the war against radical Islamic groups such as the Taliban and Al Qaeda is drawing to a close. However several incidents in recent months have shown us that wars are often fought on many battlefields. 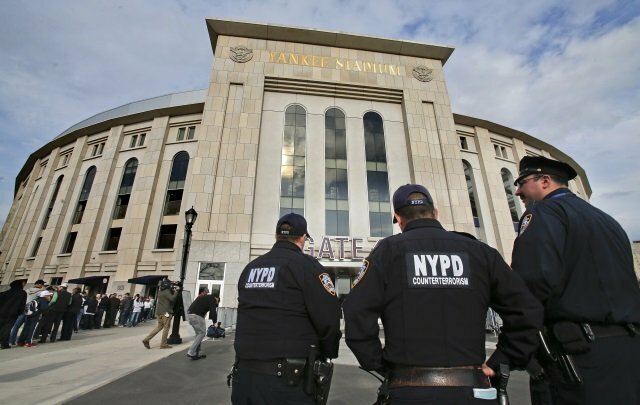 Officials sought to down play the significance of foreign influences on this attack by saying either the brothers were "lone wolves" or "self radicalized". Al Qaeda in the Arabian Peninsula (AQAP) sees it differently. They believe it was a result of their call for jihadists to act within their own countries and that it was not necessary to travel overseas to a training camp to become a bona fide mujahid. They also took credit for providing instructions on how to construct the IEDs that were used in the terrorist attack through their organizations Inspire Magazine article "How to make a Bomb in the Kitchen of your Mom". 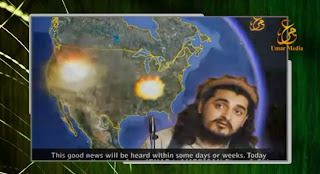 Again whether this was an embellishment of the truth or not, Al Qaeda got their message out. Why? Because Wars are fought in many places other than the battlefield. Wars are also fought in the arena of public opinion. 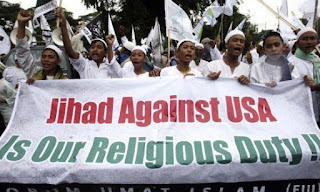 They are seeking to influence a whole new generation with their brand of Islamic fanaticism. Truth matters not to them. A little over a month later in the Woolwich neighborhood of London a British soldier Lee Rigby, who had served in Afghanistan was brutally attacked by two men as he returned to his barracks. Immediately following the killing the two individuals, Michael Adebolajo and Michael Adebowale responsible stood in front of a video camera with Drummer Rigby's blood on their hands and declared the murder as an act of retribution for the U.K.'s participation in the wars in Afghanistan and Iraq. The investigation has now linked one of Rigby's killers to Mohammed Hamid, the radical Islamic cleric who conducted training camps for terrorists including the 21/7 London Bombers. Michael Adebolajo has also been linked to radical clerics Abu Izzadeen, and Anjem Choudary. Their organizations, Al Ghurabba and Al Muhajiroun have been banned in the UK after being designated as Islamic Terrorist Organizations with ties to other international terrorist groups. In the immediate aftermath of this, British Home Secretary Theresa may call for stringent security measures to address the threat of more attacks by Islamic radicals in the UK. Among the measures she suggested were steps to; "prevent radical clerics access to universities and prisons, calling those two environments; "the most fertile recruiting grounds for radicalized men who could turn to violence"
Two days later when a group of Muslim inmates in the UK's Full Sutton Prison assaulted a prison employee as an act of support for the Woolwich killing. According to prison sources the inmates were led by a known radical insurgent in the prison population with a previous history of violence and a security risk. The source stated, "It was organized and inspired by the terrible death of Lee Rigby. The ringleader wanted to start a riot and after taking a hostage he was shouting for ‘true Muslims" to join a holy war." Full Sutton prison as well as other British prisons have a number of convicted terrorists within their walls. For them the war (jihad) has not ended. When an act of terrorism is committed in the United States often the initial assessment of it or the perpetrators is inaccurate or wrong. This is becoming clear in the investigation into the recent bombing of the Boston Marathon by the Tsarnaev brothers. As we search to find the motive behind the attack, we often hear the term radicalization bantered about. Understanding what it is and, more importantly, what it is not is crucial in preventing future acts from individuals who think they have a divine right to kill innocent women and children or maim civilians at a public event. Notwithstanding Peter Bergen, of the New America Foundation analysis of the term and how it applied to Tamerlan and Dzhokhar. They were not "self-radicalized"
When we hear that we think in terms of self-taught or self hypnotized. When it comes to radicalization nothing could be further from the truth. According to the National Counter Terrorism Center, "Radicalization is a dynamic and multilayered process involving several factors that interact with one another to influence an individual. The process is influenced by internal and external factors"
As someone who has observed the process during my career I can emphatically tell you there are always external factors. The case of the Tsarnaevs is no different. In their case there was overseas travel and contact with radical Islamic extremists. This information was provided to us by the Russian intelligence agency two years ago. It has been confirmed by the FBI and the CIA. Now we are finding out that there was at least one individual in the united states, "Misha" who acted as a facilitator in radicalization process. 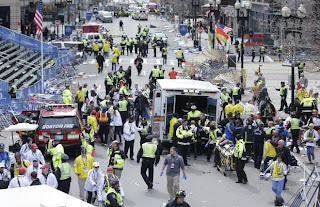 There was also a religious organization, in this case the Islamic Society of Boston, with a history of radicalization either with former members who were tried and convicted of terrorism or inflammatory speakers who incited others to act. The same external factors were also evident with several other individuals who either committed acts of terrorism or conspired to act before they were stopped by law enforcement. Among them were Carlos Bledsoe, Nidal Hasan, and Faisal Shahzad, the Times Square bomber. A terrorist is not hatched overnight nor does he live in a vacuum devoid of outside influences that shape his thoughts and actions. The myth of "self radicalization" attempts to simplify a complex issue and as a result it confuses the public. More importantly it absolves responsibility of those who were involved in radicalizing the terrorist brothers. As the investigation continues and more information about case is developed, we cannot overlook the obvious. 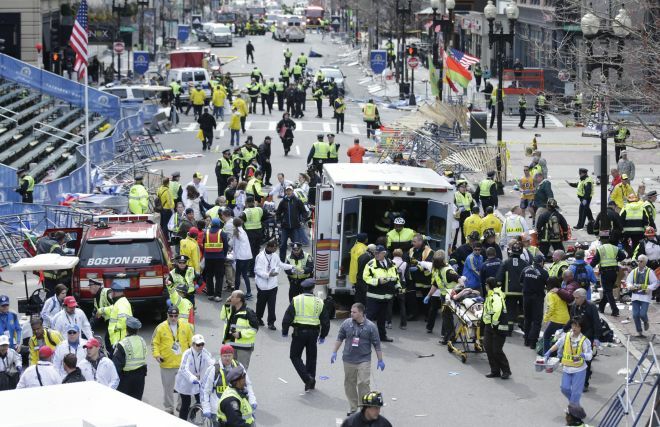 Those who contributed to the radicalization of the Boston Bombers must be held accountable. If you wait long enough, anything is possible on Broadway or in Hollywood. 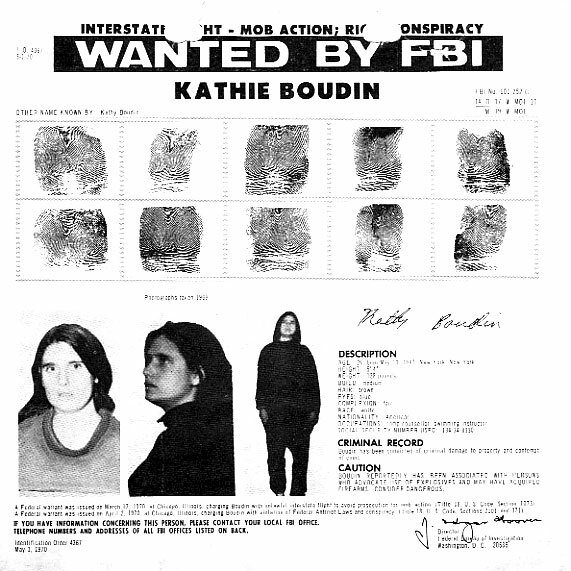 Yesterday’s villain can become tomorrow’s hero or in the case of Kathy Boudin, former member of the domestic terrorist group the Weather Underground and convicted murderer, a heroine. 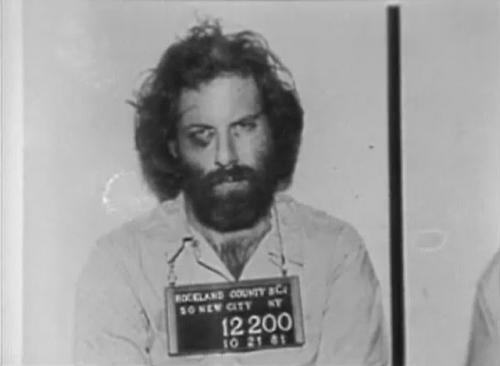 Boudin, sentenced to a life term in New York State for the shooting deaths of two policemen, Edward O’Grady and Waverly Brown as well as Brinks security guard Peter Paige was paroled in 2003 after serving twenty two years in prison for the three homicides. The officers were killed in a shootout with members of the Weather Underground and the Black Liberation Army after a failed bank robbery in 1981. Boudin minimized her role in the slayings by simply saying she was in the wrong place at the wrong time. Yet the groups that she was involved with utilized explosives and automatic weapons to destroy property, take lives, and instill fear in ordinary citizens through violence. If that isn’t terrorism, I don’t know what is. “No Surrender” an unrepentant account of his life as a terrorist. David is also actively involved in several radical organizations including Viva Palestina, even while incarcerated. Could release be just around the corner for him? Unfortunately he does not see the Parole Board until 2056 when he will be 112 years old. 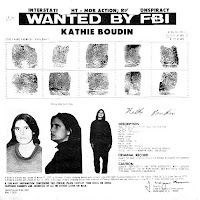 Their son, Chesa Boudin, who was left at the babysitter’s while they went off to steal and kill was raised by former Weather Underground members Bill Ayers and Bernadette Dohrn. Chesa went on to become a Yale grad and a Rhodes Scholar while the nine children left behind struggled to make their way in this world without the benefit of a father taken by the violence of domestic terrorism. No PR firm in the world could have scripted a better image conversion than the makeover given Ms. Boudin. We are told she is an advocate for AIDS patients and adult education. Her students at Columbia are said to adore her, a regular Mother Teresa to ex-cons and their families as they seek to reenter society. She was a daughter of privilege who fell from grace but has now returned to bless us with her talents. Patrick Dunleavy is the author of The Fertile Soil of Jihad: Terrorism’s Prison Connection (Potomac Books, 2011). He provides us with a fascinating insight into the radicalization process within the prison system. This is a sensitive topic but Dunleavy does not provide a political commentary on radicalization or Islam but rather acknowledges that the process can occur and gives us a detailed recounting of one such group within the New York Correctional system. He discusses a few key characters and how they ended up in prison and the circumstances that led to their participation in radical thought. The most interesting parts of the book for me were the methods of prison life that aided the process; the ability to communicate with the outside world and the massaging of internal security routines to allow interaction and coordination with others inside the system. This is not a morality play, but rather a description of a process. We can certainly learn a lot through books such as these that reduce our naivety about the ingenuity of prison inmates who have a lot of time to think and experiment with their immediate environment. Radicalization is a serious issue but for me this was a book more about the world of incarceration than terrorism. 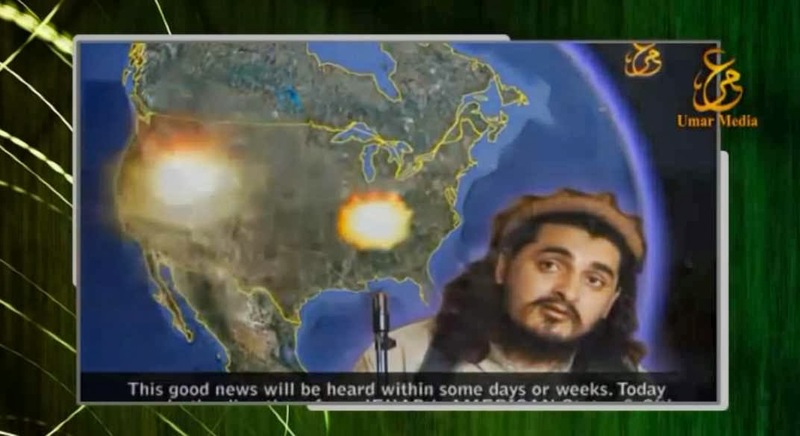 U.S. District Court rules in favor of the Taliban. A federal district judge, Jane Magnus-Stinson ruled that the 1993 Religious Freedom Restoration Act applies even to convicted terrorists in prison. John Walker Lindh, also known as "The American Taliban" sued the Federal Bureau of Prisons for the right to congregate with other Islamic terrorists in the Communications Management Unit of the Federal Correctional Institution (FCI), in Terre Haute, Indiana. Lindh who was captured in 2001 fighting alongside Taliban members in Afghanistan is serving a twenty year sentence for collaboration with the terrorist organization in fighting against U.S. forces. Judge Stinson overlooks the fact that he is a terrorist and that when he was initially held in a military prison near Mazār-e Sharī in Afghanistan a riot broke out and CIA officer Johnny "Micheal" Spann was killed by the inmates. The uprising began on the same day Spann had conducted an interview of Lindh. Spann, the first American to die in Afghanistan, was posthumously awarded the Intelligence Star and the Exceptional Service Medallion, the equivalent of the U.S. military's Silver Star. He is buried in Arlington National Cemetery. The Judge's description of John Walker Lindh is; [he is] "a low security prisoner who wishes to engage in a brief communal activity with other inmates". That makes him appear to be docile, socially adept, and non-threatening. That narrative almost makes you want to invite him home for coffee. Why is it that the average citizen can see this decision as insanity and yet the ACLU and the other inmate rights advocates do not? The Court it seems cannot discern between a genuine rehabilitation and someone who has become "jail-wise" after more than ten years in the system. Prison officials and security experts must be given the leeway to administer measures which prevent convicted terrorists from acting again. Anything less would be an insult to the memory of those who gave their lives in the fight against terrorism.